By appointment or based on events. 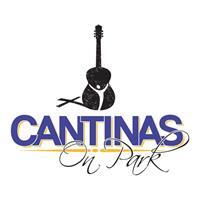 Cantinas On Park is an event location tucked underground in a space like no other. Open to the public to rent for an event, our location can accommodate 70 guests seated at our unique tables and chairs. The atmosphere evokes a rustic reclaimed feel with decorator touches and vintage pieces. Cantinas On Park is sure to impress your guests and give them a lasting impression of your event in Paso Robles. Cantinas On Park will also sponsor Christian ministry nights with live music, speakers, and art events that will be open to the public. Our relaxed coffee shop ambiance will invite you to sit back and take in the entertainment. Please join us on Facebook to see a listing of upcoming public events. We will also post events and offers on our website.